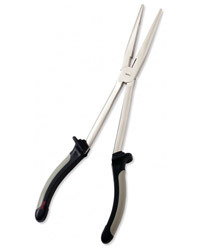  Co-moulded soft grip handles.  Carbon steel construction with nickel plated finish. 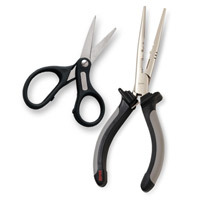  Light-duty side cutter and split shot crimper. 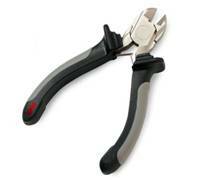 These Split Ring Pliers make it a snap to change out or replace hooks. Soft grip handles and wrist lanyard. 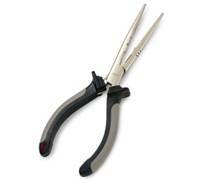 16 cm Fishermans Pliers & Super Line Scissors. Sheath. 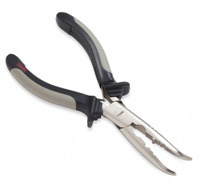 The most popular size pliers, these curved nose models help get at hard to reach hooks. Nickel plated carbon steel they include split shot crimper, a side cutter and a double leaf spring for easy, one-handed operation. 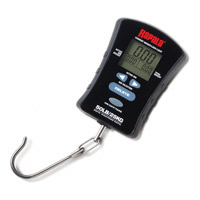 Also includes handy Patented Rapala lure tuning tool. 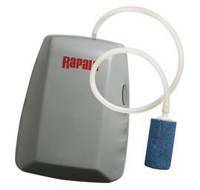 Easily reach deep hooked baits and other hard to reach hooks with ease. Truly one of those How did I live without it tools. Co-molded grips for a secure hand while digging deep to save your lucky Rapala lure. Nickel plated carbon steel construction for years of rust resistant service.  Perfect tool to cut wire leaders and hooks.  Co-moulded handles for comfort.  Spring loaded for ease of use.  A quiet, powerful pump.  Battery powered (2 C cell).  Comes with 60cm hose. The Rapala Spoon Fillet offers trout & salmon anglers a quick and easy way to fillet, then remove bloodline with one tool. 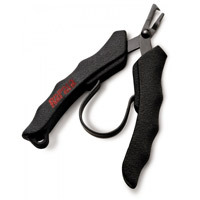  Ideal for safely removing hooks from predators.  Makes unhooking deep-hooked fish easy. 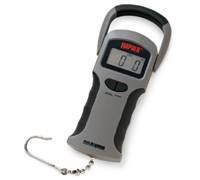  Stainless steel with rust protective finish.